The recently established TR Foundation has received its very first funding which will be used to support the Badimia people in their cultural sustainability goals. 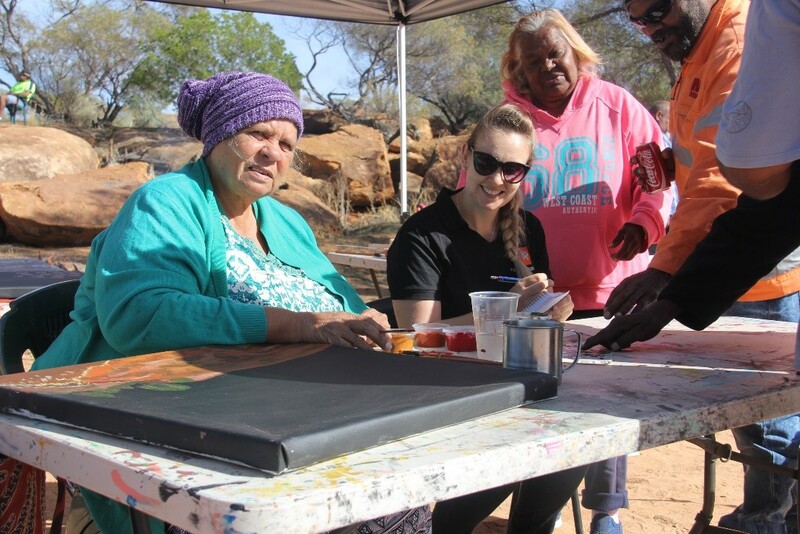 The funding from the Department of Cultural and the Arts (WA) will see us continue to work closely with the community to conduct arts workshops and record oral histories of Kirkalocka Station, an important place to many Badimia elders who have fond memories of growing up on the pastoral station. 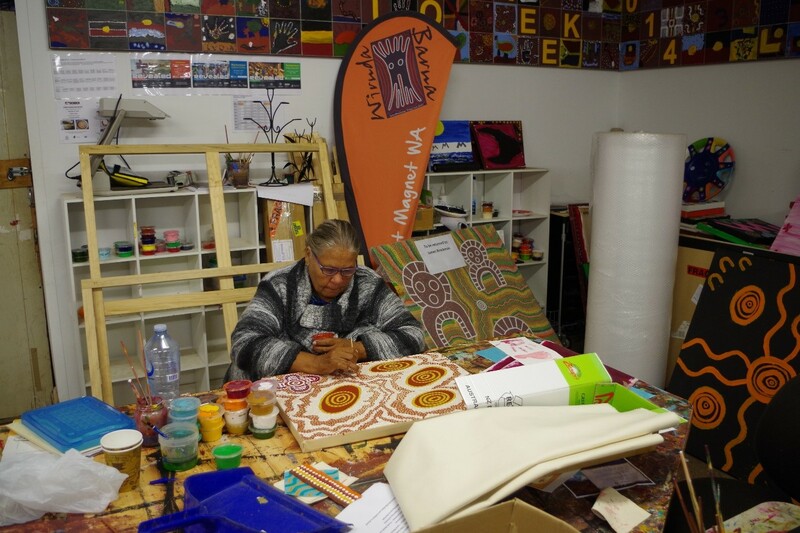 The TR Foundation was established in 2016 as an avenue for assisting Traditional Owner groups to fulfil their cultural and community development aims. This is the first time we will be able to see the process through from start to finish; from speaking with community about project ideas, to facilitating the project, through to managing the grant acquittals. This provides a streamlined process for community development projects, enabling us to liaise with granting bodies, provide up-to-date advice to communities and seek direct feedback on projects. 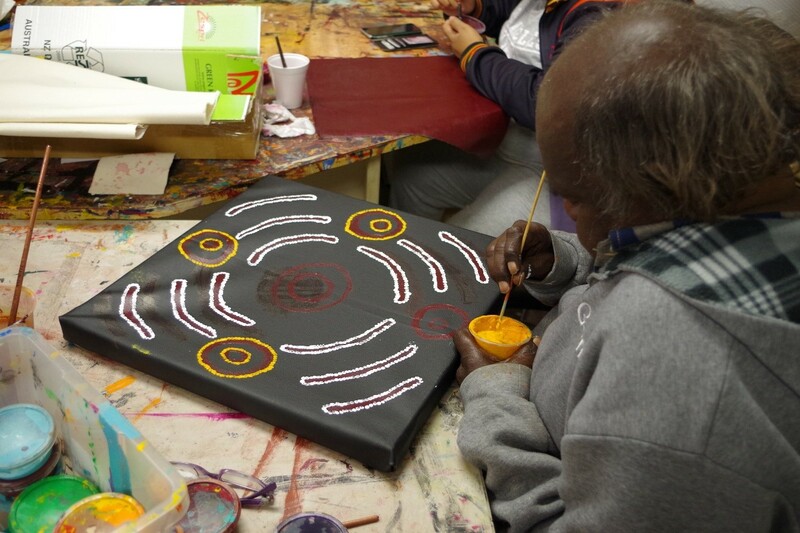 The project will see the Foundation partner with the Badimia Lands Aboriginal Corporation, Wirnda Barna Artists Inc and elders of the Badimia community to facilitate a four-day program at the station consisting of arts workshops exploring the area. 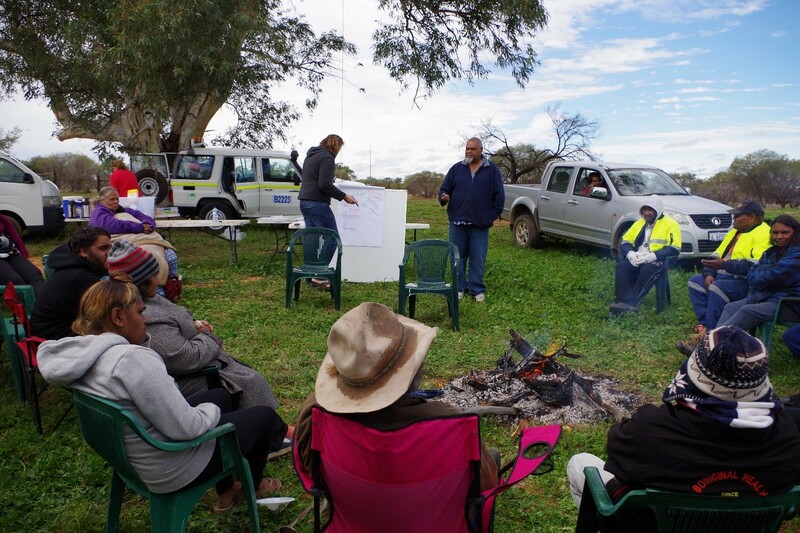 The project builds on 2016 projects which saw arts workshops at significant Badimia site – the Granites and further arts workshops and Healthy Country Planning workshops at Kirkalocka Station. Kirkalocka has a long-standing relationship with the Badimia community, from its earliest days as a pastoral station employing local Aboriginal people, to today where the Station owners maintain friendships and encourage and enable Badimia people to access Traditional lands for the maintenance of cultural practices. Many of the Badimia elders grew up on the station and have fond memories and a wealth of stories that they are very excited to share with younger generations. They know of a number of significant heritage places on Kirkalocka Station and have discussed their vision for a cultural trip with younger generations recording and documenting the place through language and arts practice, reconnecting children and young people to their country and connecting them with family histories of station life. The project is spearheaded by internationally acclaimed artists Frank Walsh Snr and Annie Walsh. Annie is a senior artist and one of Wirnda Barna Artists’ highest selling and most prolific painters. She paints country around the Gascoyne and her hometown of Mount Magnet such as Boogardie Station, her husband’s birthplace at Wydgee Hills Station and she also paints about her mother’s sea country over in Carnarvon and her father’s country in the upper Murchison. Frank paints about places on Badimia country and mainly draws inspiration from the old Aboriginal rock paintings that can be found on Wandarrie country and the landscape and mythology of Badimia land in his distinctive raw style. Frank was the winner of the Indigenous Art Award at the Mount Magnet Art Awards in 2010, selected for Revealed exhibition of emerging Aboriginal Art in Perth in 2013, was awarded the 2nd place commended award at the 2013 Albany Art Prize (behind Reko Rennie), and took out the Mid-West Aboriginal Art Award 2015 at Geraldton Regional Gallery. He has paintings in local, national and international private collections as well as Mt Gibson Iron, Geraldton Regional Aboriginal Medical Service and the SKA consortium (London). 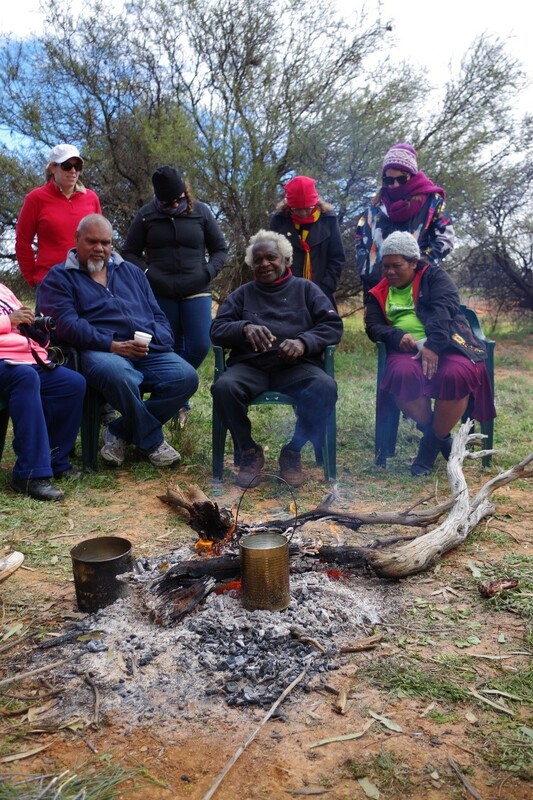 The project will also involve the teachings of Olly George – the last remaining fluent speaker of Badimia who grew up on Kirkalocka Station and has a strong connection to the Land. Olly will facilitate the sharing of traditional language as it relates to art and sites of Kirkalocka Station. This connection is seen as particularly significant given the strong and inextricable links which exist between culture, art, language and the land. Frank, Annie and Olly have a rich knowledge of the sites, language and stories from around the Mt Magnet and Kirkalocka area. As the last remaining link with the language of the Badimia community Olly has expressed an urgent need to pass on his knowledge of language and culture and the community have determined that the best way to record and preserve their important cultural information was through the medium of community arts practice on-country. The TR Foundation feels very privileged and excited to work with the Badimia community and support them in all their cultural development goals. This project is scheduled to take place during NAIDOC week in 2017, so stay posted for the project updates and photos.